Good morning friends! If you’re in the UK, I hope you’re enjoying the glorious sunshine. The sun is blazing outside my window, the sky a searing blue tempting me to abandon all more chores and jump straight on my bike but I must hold firm and tick a few things off my to-do list first. The other distraction is my new kitten Socks, a miniscule imp who loves nothing more than nibbling wires and having her belly stroked. As I type this she is purping and chirruping her way around the living room and I’m trying my hardest not to jump up (yet again) and go cuddle her. But concentrate I must, or I’ll never fit everything in! Summer is a really busy time for me with racing, freelance jobs and the work I do with my sponsors. This summer I’m lucky enough to be working with ŠKODA, supporters of numerous cycling events (and other riders such as Hannah Barnes and Bradley Wiggins). One particular event they’re backing has got me really excited – Prudential RideLondon-Surrey 100 – which I’ll be riding with a big crew from ŠKODA and my husband Dave. Whilst I got into cycling quite a reasonably long time ago now, over the last five or so years huge numbers of my friends, particularly ex-snowboarders for some reason, have taken up and become passionate about cycling themselves. As all I ever do is blather on about bikes, I’ve therefore become the default person to ask for advice, which is really gratifying as I enjoy being able to help people and allow them to fast track themselves through some of the bits it took my a while to figure out for myself. 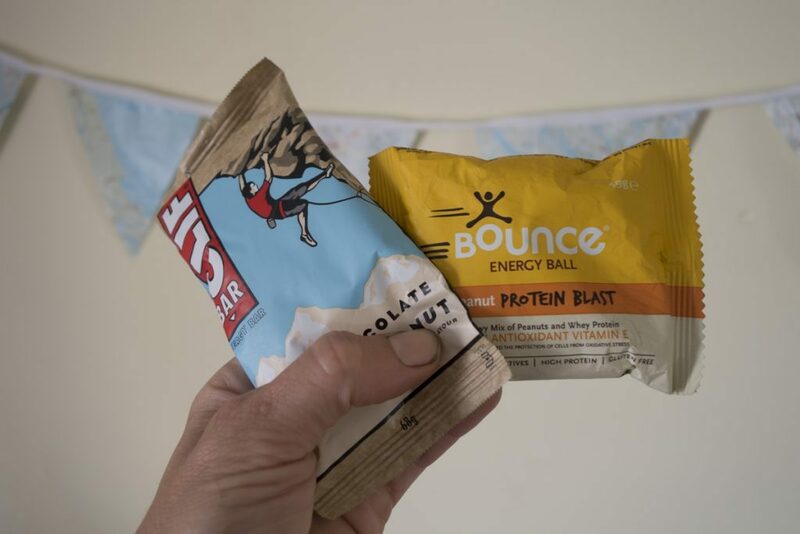 A major topic of interest is nutrition, specifically how to fuel yourself on a long ride or sportive such as Prudential RideLondon-Surrey 100 so I thought I’d write a post that explains how to best fuel yourself with some dos and don’ts to consider along the way. So read on for ten tips on what to eat when cycling long distance or riding a sportive. 1. If you’re doing a long ride you really need to start thinking about nutrition the day before. There’s really no need to ‘carbo load’ as the body can only store a certain amount of carbs (in the form of glycogen). Aim for a balance of carbs, protein and veg/salad and drink plenty of water. Personally, I prefer to avoid alcohol all together as it’s dehydrating but if you must drink then stick to the one. It’s wise to avoid too much salt for the same reason. 2. The day of your ride, it’s preferable to eat your breakfast at least two hours before the start. An ideal breakfast that will set you up well for the day is porridge and some eggs. Go easy on the coffee as it’s dehydrating and aim to dip a 500ml bidon of water or electrolyte drink before you depart. 3. Don’t only eat at food stops. As I mentioned before the body can only store a certain amount of glycogen in the muscles so for that reason you need to eat little and often. You definitely don’t want to ride all morning without food then stop for a big lunch, as you’ll flag on the bike then struggle to digest. Consuming between 60 and 90grams of carbs per hour is ideal, spread across the hour. Eating something small every half an hour works well. 4. It’s best to choose foods that are easily digestible and portable. 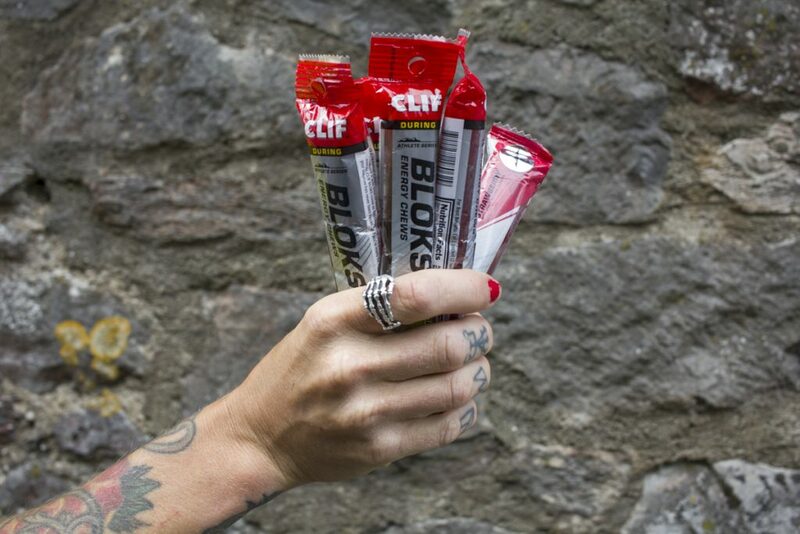 Energy bars (eat half at a time), peanut butter or jam sandwiches (cut into pieces), fig rolls, gels and bananas or Clif Shot Blocs are all good choices. Some people can find gels a little hard on the stomach (and they can get sickly) so I find it best not too use too many and to keep them for when I’m flagging. Click here to see the products I enjoy using. 5. On the subject of gels, make sure to test the product you want to use on your big event and find one that you can consume without too much anguish (some of them are disgusting!) and that won’t upset your stomach. 6. Hydration is just as important as food – I actually suffered from dehydration in a race once and let me tell you, it’s thoroughly unpleasant and severely hampers your performance! Aim to consume a 500ml bottle every hour, sipping at least every fifteen minutes. Sportives have regular ‘feed zones’ where you can fill up your bottle. 7. On the subject of hydration, think about what you put in your bottle. As you exercise you lose electrolytes, the correct balance of which it’s vital to maintain. It’s worthwhile putting a simple electrolyte tablet in your bottle (or making your own mix) or using a combined electrolyte/carbohydrate product – this kills two birds with one stone as it provides fuel at the same time as keeping your hydrated. Feed stations often provide energy drinks/powders/tablets. 8. 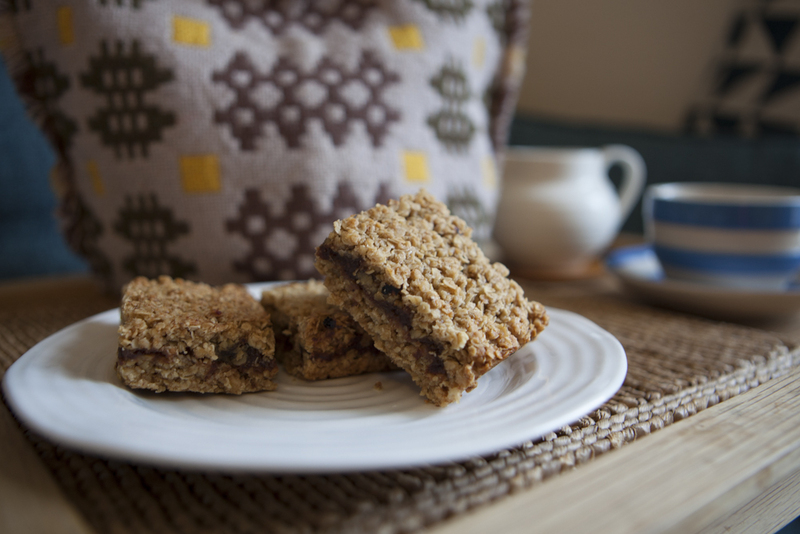 At most sportives you’ll find a huge array of cakes, biscuits, flapjacks, sandwiches and even crisps. When you’ve been riding hard, it’s temping to shovel a load in but I’d advise you to exercise restraint. You’ll find it really hard to digest all that whilst you ride and could cause yourself discomfort so try and limit yourself to one piece of cake or a sandwich. 9. Refueling doesn’t end when you step off your bike. Aim to consume some protein and glucose within 30 minutes off finishing – chocolate milk is ideal or you could use a protein drink. If you’re going to be eating a balanced meal shortly after finishing, skip the milk/protein drink; you don’t need both. 10. The final tip is less about you and more about everyone else. Never, ever drop any gel or energy bar wrappers anywhere as it’s unsightly and fuels dislike of cyclists. Personally, I don’t even like to throw banana skins as they take forever to biodegrade and look a real mess – imagine is all 9000 cyclists on RideLondon threw banana skins all over the countryside? Stuffing myself at food stops was a definite must, and for so long I wondered why I would get cold about 20 minutes later. Obviously struggling to digest while cycling was an issue.